Narrative: Part of lot belonging to Private Jean Gallant. Gallant was a CWAC who went on to perform as a dancer with The Army Show. 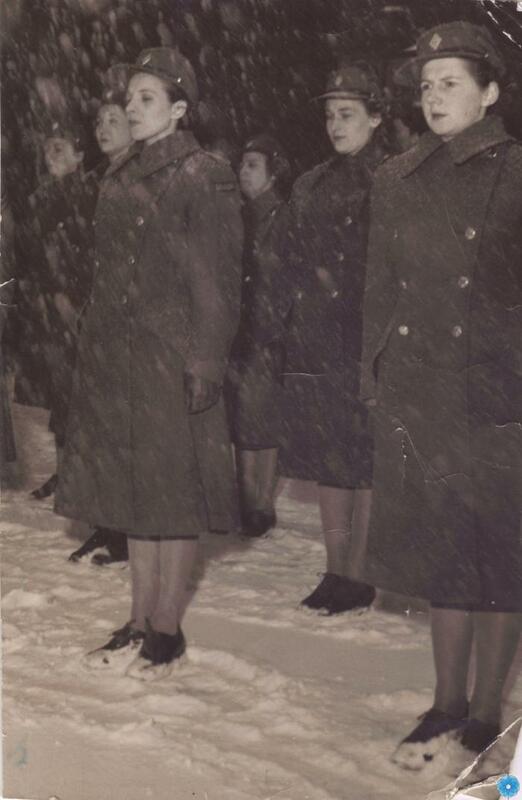 Description: Single black and white candid photograph of some Canadian Women's Army Corps uniformed soldiers standing on drill in the snow.